Ben and I revisited Kowloon Bay BBQ House in Richmond for lunch after returning from a quick trip to downtown Vancouver. 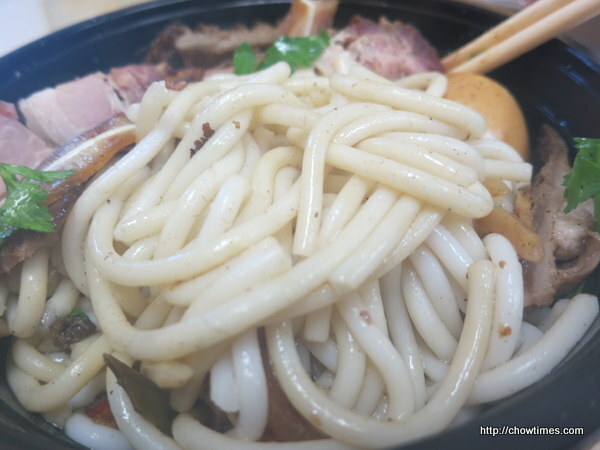 This time we tried the noodle dishes serves in the restaurant. Ben had the Spicy Chili Pork Intestine noodle. It has generous amount of ingredients. I think the marinated egg is extra charged. 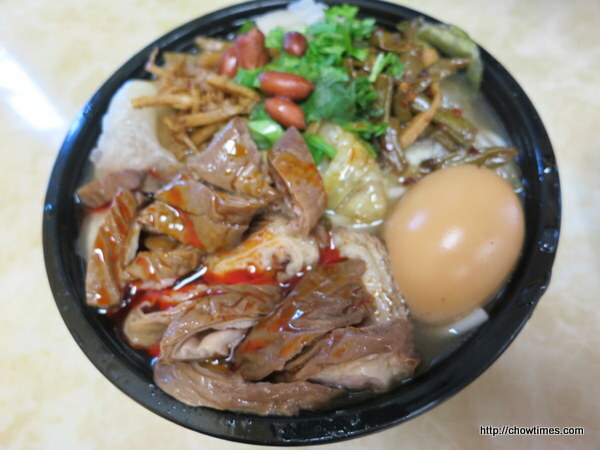 I had the Guilin Noodle which came as a dry mix noodle. The sauce was mild. Mine has some roasted pork and marinated meat slices, pig ears, etc. I like the peanut which gives some crunchy texture. I also enjoy the pickled green chili which adds some saltiness to it. My noodle came with a bowl of broth on the side. The server told me that I can make it into a noodle soup by adding the broth into the my bowl. 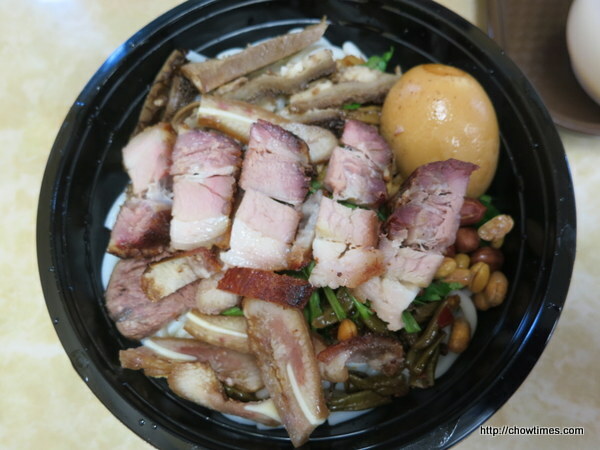 The thick vermicelli noddle was smooth and slippery. It’s a bit of challenge to eat with chopsticks. 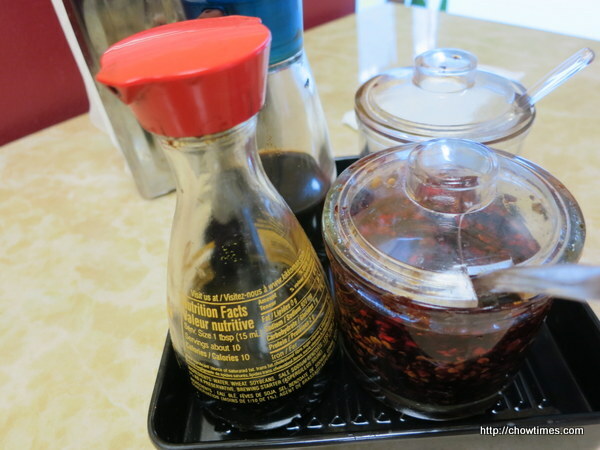 There are also chili oil condiment on the table if you like to add spiciness to your noodles. Our meal came CAD20. This is a cash only place.